The GeoBayCaching program we introduced a couple of years ago is undergoing an update and refresh. We have discovered that the cache containers we originally used were being abused by the locals, bears in at least one case, or decomposing as a result of the elements. 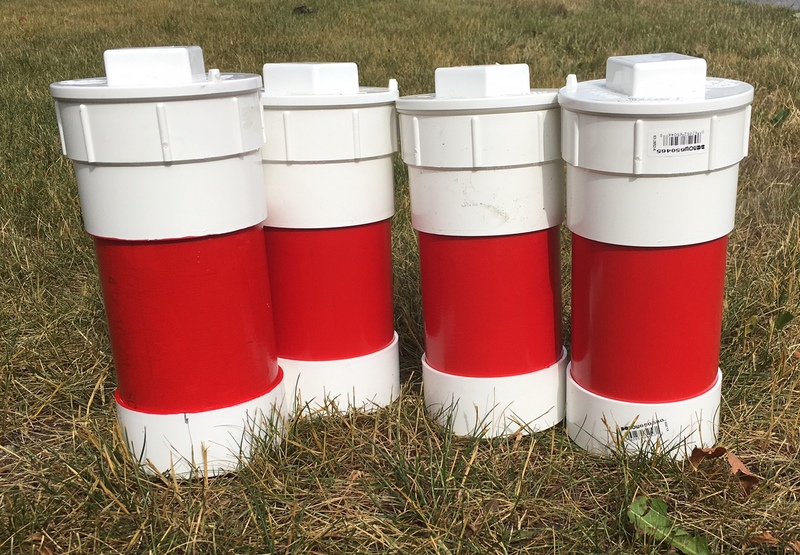 The new geocaches are now being built with commercial grade 4″ PVC pipe and fittings. They should stand up to the elements. We’ve added a red band to the caches that capture the sense of our local Red Rock Island Lighthouse. Three of the new geocaches have been deployed by Commander John Mason in the past week. The new geocaches are located on The Pancakes, Franklin Island and Windsor Island. The idea of the GeoBayCache program is to encourage people to get out and explore, not play hide-and-seek. The locations of most of the geocaches are sufficiently out-of-the-way that there is no need to ‘hide’ them once you get close. If you get out to a location and can’t find the geocache, please let us know (communications@parrysoundboating.ca). Here’s hoping that the geocaches don’t become collector items.